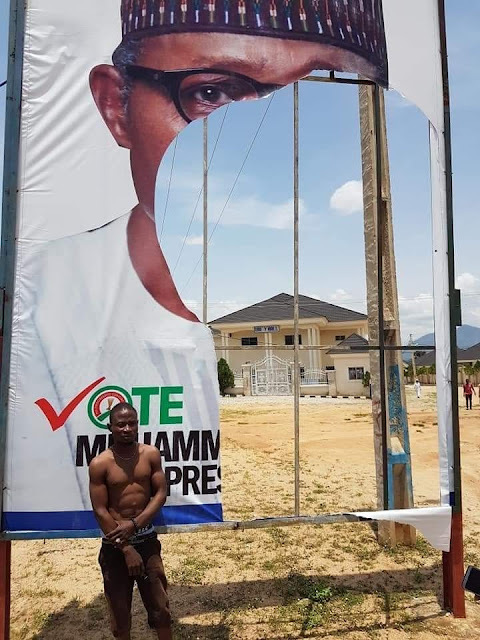 A man who is apparently not happy with the way things are in the country, decided to take his grievance to another level by detsroying campaign posters of president Muhammadu Buhari in Abuja. The young man was caught in the act and was taken into custody by police officers, according to reports. 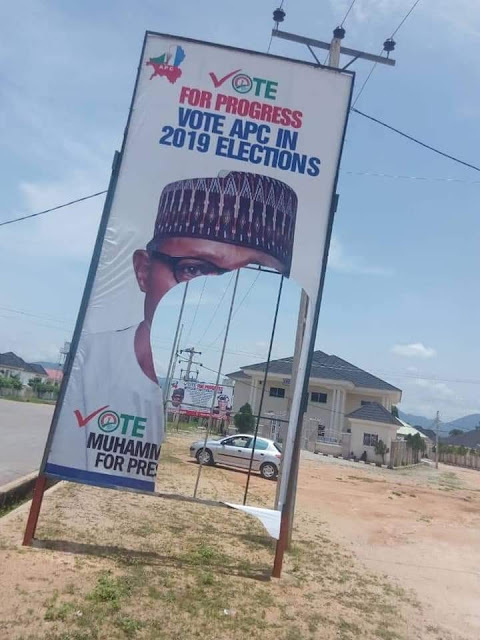 Last month, the Nigeria Police in Kano vowed to arrest anyone caught destroying the 2019 campaign posters of President Muhammadu Buhari in any part of the state. 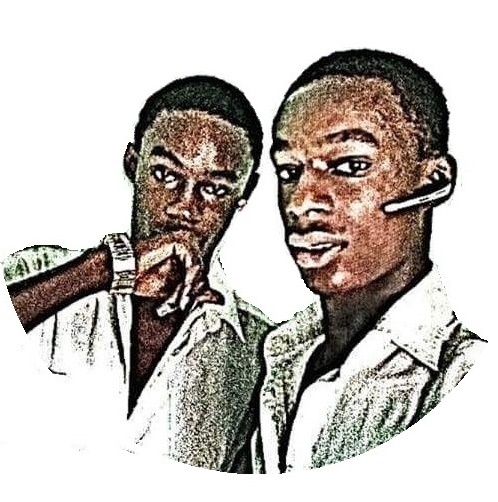 The Police stated this following cases of disfiguring, or at times, tearing into pieces, campaign posters of President Buhari by suspected opposition politicians in Kano state. 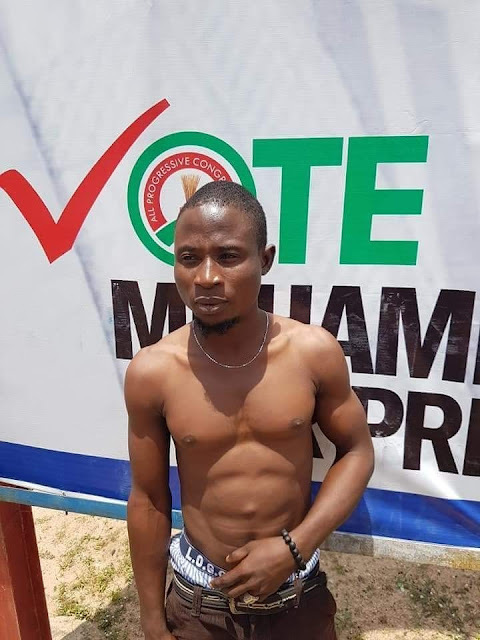 The Police Public Relations Officer, Kano Police Command, Magaji Majia, said both covert and overt Police operatives had been deployed to watch and arrest anyone found destroying campaign posters and bill boards of the president. According to Majia, this has become necessary following an ‘unruly behavior’ of some miscreants who destroyed Buhari’s Bill Board/Poster along Sharada Road.